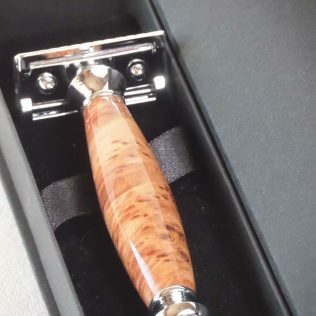 View basket “Willow Traditional Shaving Set” has been added to your basket. 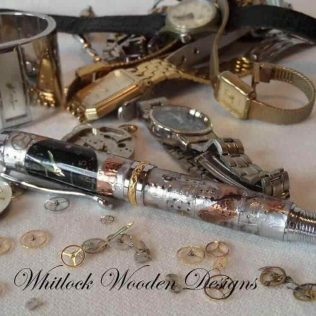 An African blackwood cigar pen with the barrels handcrafted in my UK workshops from a piece of African Blackwood. The grenadilla wood or blackwood from Africa and comes from a small tree, expensive and hard to get in any measure. Used in the Egyptians tombs over 4000 years ago a highly prized wood. This wooden ballpoint pen has a high-quality black chrome trim with a double twist mechanism. 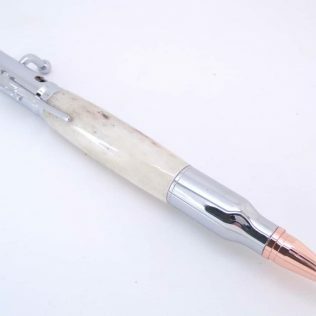 These ballpoint pens are big and masculine and will make great handmade birthday gifts for men. I mount the wood on my lathe and hand turn to round and shaped. Once shaped it needs sanding through to 400 grit and then up to 8 coatings of CA glue need applying this is, then polished to 12000 using micro mesh for a super hard and durable high gloss finish. 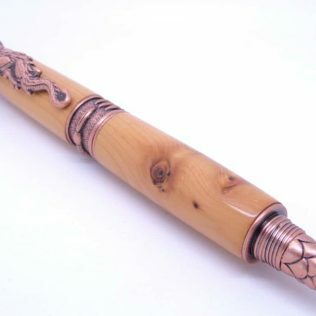 Other pens may only have a wax or oil finish but this is not durable enough to protect pens over time from the natural oils and stains it will pick up. 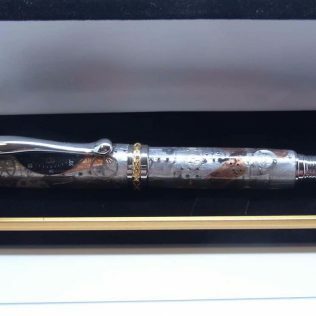 Stunning figure and grain definition on this black ballpoint pen. 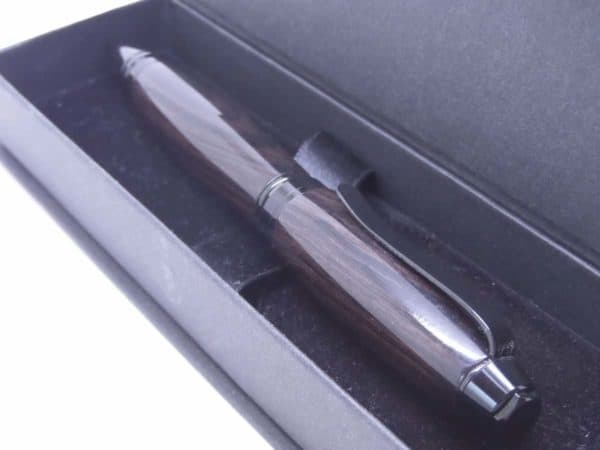 This style of a wooden ballpoint pen is also available as a black acrylic pen. 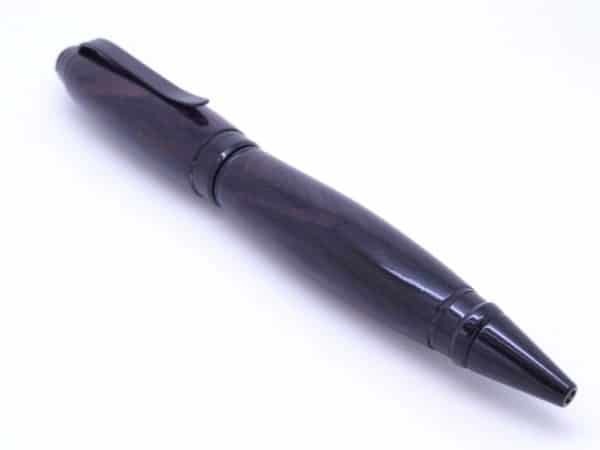 This pen uses a Parker style G2 medium point black refill available from any good stationery suppliers. All my pen gifts come in a black presentation box as the standard. 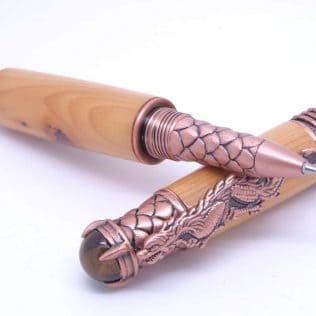 As every piece of wood different, these pens make unique wooden gifts for 5th anniversary or Birthday gifts. 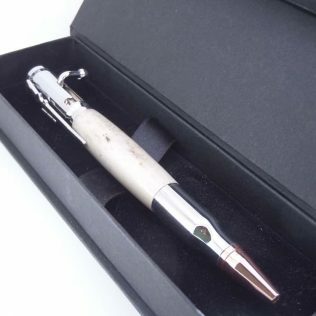 Please note if the pictured pen has sold another of the same wood will be sent. 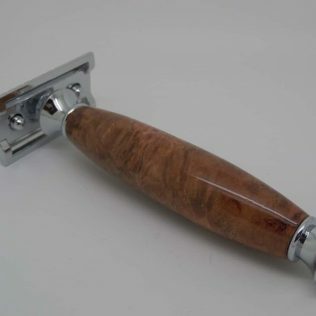 With the natural nature of the material your item may differ slightly with the grain pattern and colour.